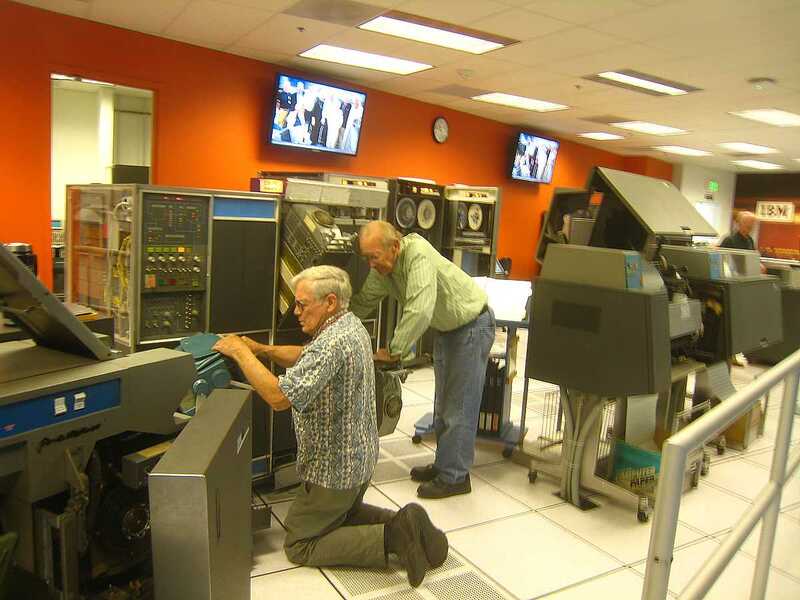 Frank King & Joe Prescot, June 2014 The 1401 machines were being informally demoed in 2009. However, the museum was occupied designing and creating R|EVOLUTION from the contents of old Visible Storage and othere resouorces. The unit record and 1401s have been basically in maintenance mode ever since. Restoration is long over, maintenance mode continues. 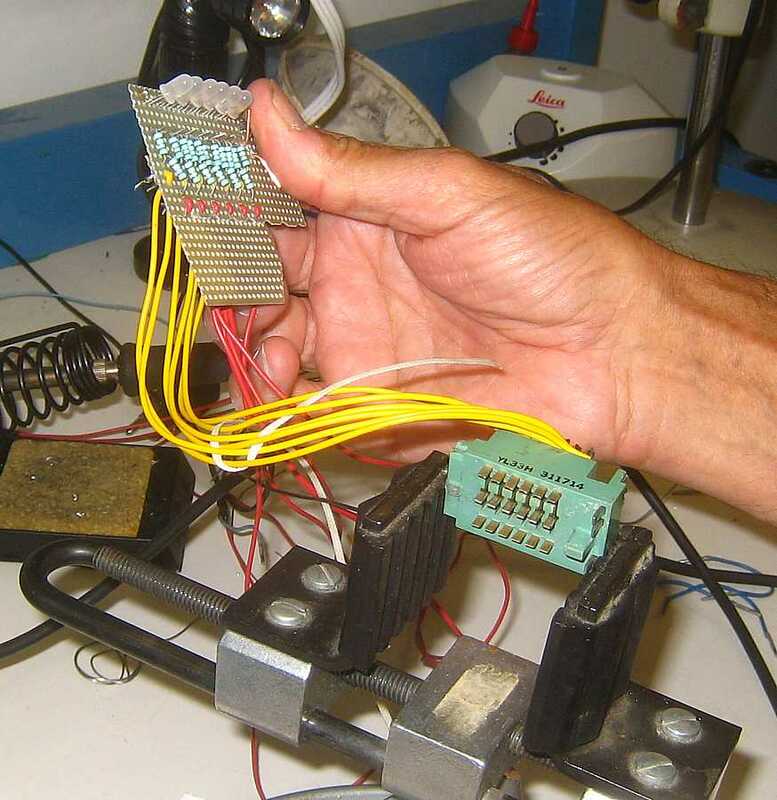 Unfortunately, the old hardware is not as reliable as it was 50 years ago :-(( There is a higher than expected card failure, and the relays and rollers in the 1402 reader/punch continue to cause machine outages at an unexpectedly high rate and longer mean time to repair. Two tasks have been started to improve "up-time". I'm using the word "Aided" to help avoid unrealistic expectations. 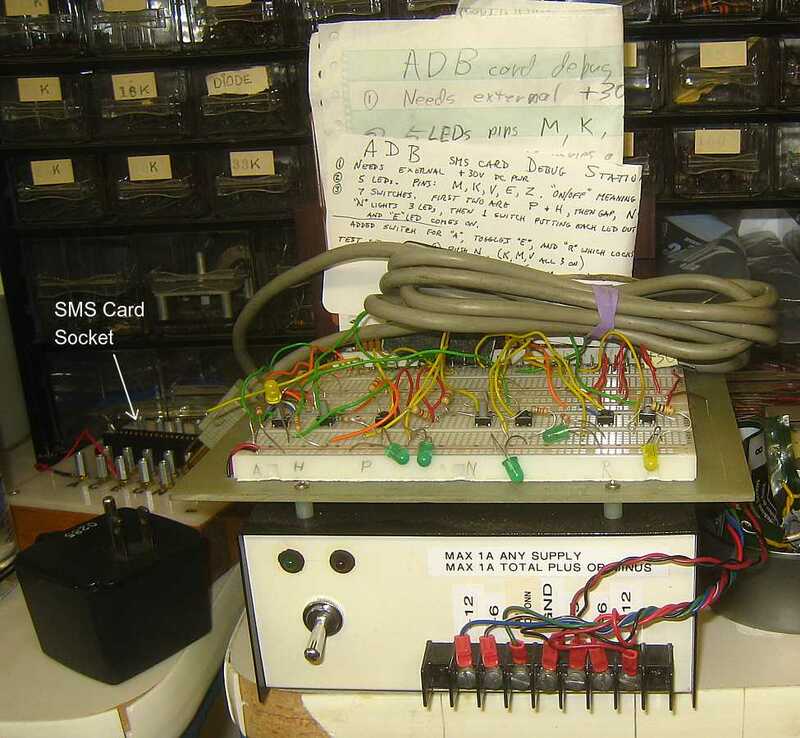 Actually, Grant Saviers started designing and drumming up support for an SMS card tester system since about Spring 2005 when we finally got adequate 50 Hz power. Support was slow in coming. 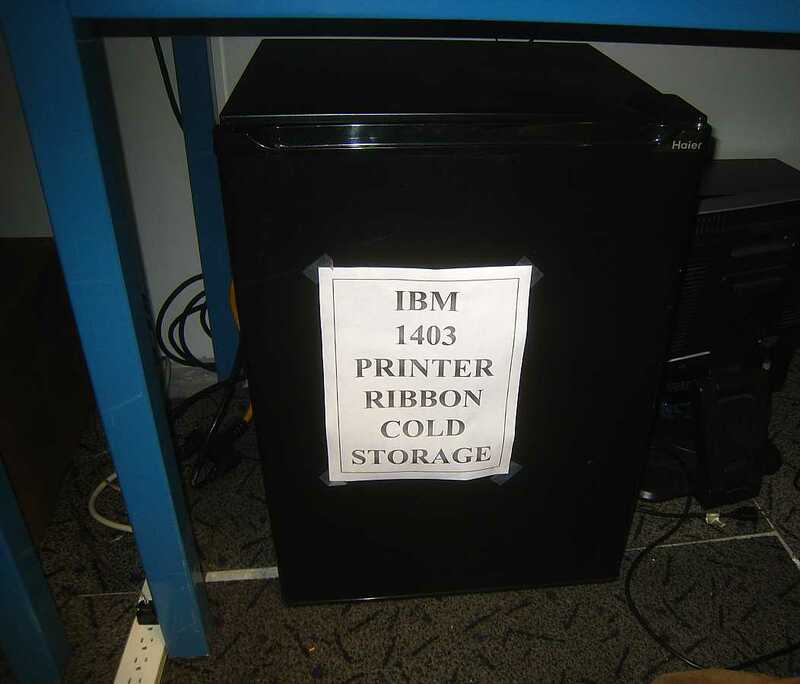 - many people (especially Ed Thelen - me - ) remembered many cards being shipped to sites as "repaired" or "no problem found" that were defective. 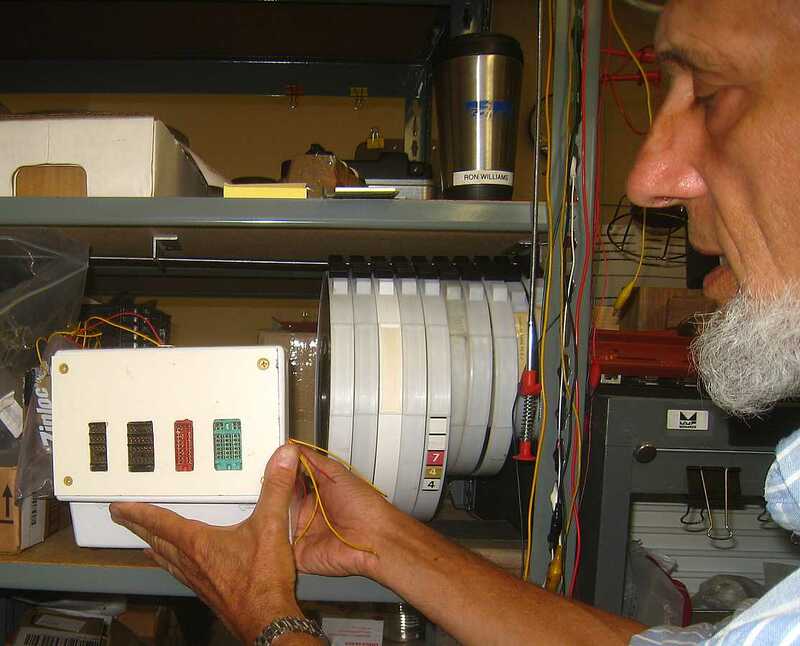 These people wished a "perfect" card tester, including verifying voltage tolerances, ability to drive rated loads, perform at rated speed, functional temperature range and maybe even vibration sensitivity. Then Tim Coslett moved to Montana, and Jim Hunt took over fixing SMS cards. Then Jim got a day job and was not available. So, in 2014 George Ahern linked up with Grant Saviers and started fabricating Grant's designs. The 1402 card reader/punch is a wonderful machine, when new and/or working. Our machines have been run for many years, and the rollers aren't what they used to be. 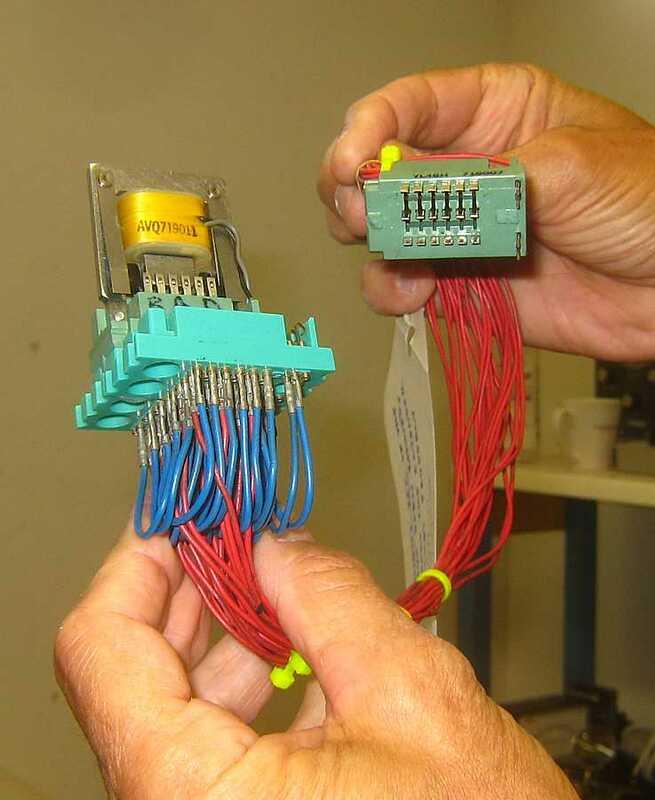 In addition, the plentiful relays are tough to test. A separate work and storage room near the loading dock.